This article is a part of a course work for first year bachelor students of Innopolis University. All work is done in a team. The purpose of this article is to show an understanding of the topic, or to help to understand it using simulation. To write any data in memory, you need to access the RAM with data and address in which we want to write. To access the data, we have to adress to cache. If the cache cannot find the necessary data, then it accesses the RAM by copying data from there. When working with Verilog, it should be understood that each individual block of the program is represented as a module. As you know, the cache is not an independent part of fast memory, and for its proper operation it needs to take data from another memory block — RAM. Therefore, in order to simulate the work of the cache at the FPGA, we have to simulate whole RAM module which includes cache as well, but the main point is cache simulation. cache_and_ram.v — module that operates with data and memory. testbench.v and testbench2.v — module to show that main modules work perfectly. Module represents memory which is used as RAM. 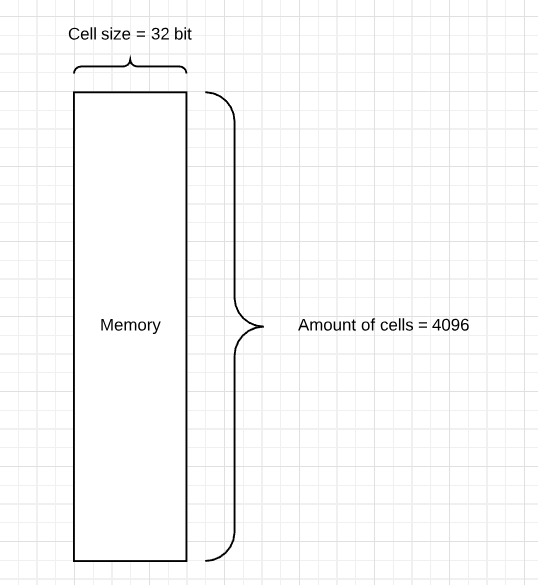 It has 4096 32-bit addressable cells to store some data. •Write data to address then check whether input address exists in cache, if so — replace the data, else standstill. •Check whether input address exists in cache, If so — return the data, else get the data from ram. Refresh the address in the cache with new data. To run a testbench, load all files into the ModelSim project and run a simulation of one of the testbench files.